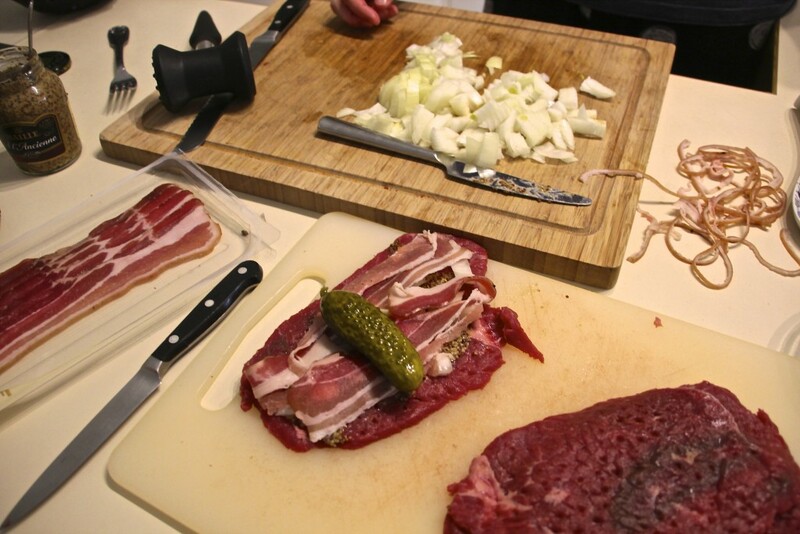 Rouladen is a traditional German meal that I make once a year for Alfonz’s birthday. 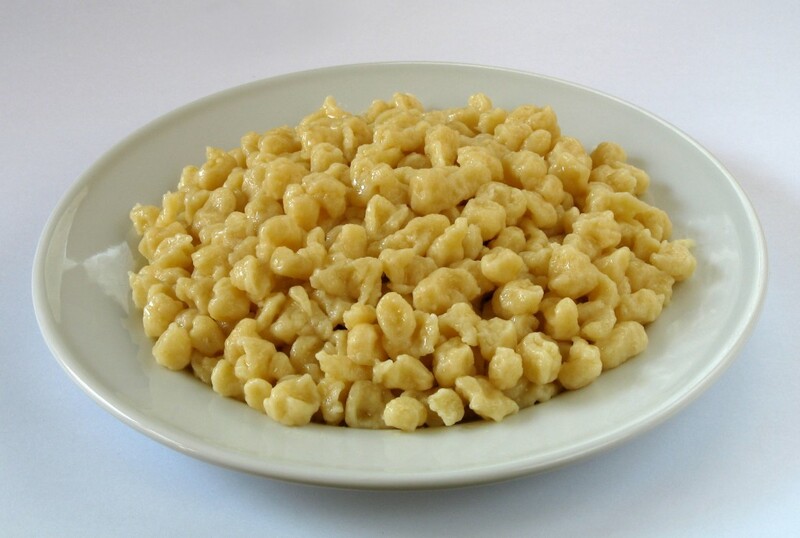 The subtle sour of the pickle, mixed with the thick gravy and soft spaetzle, if the perfect winter comfort food. 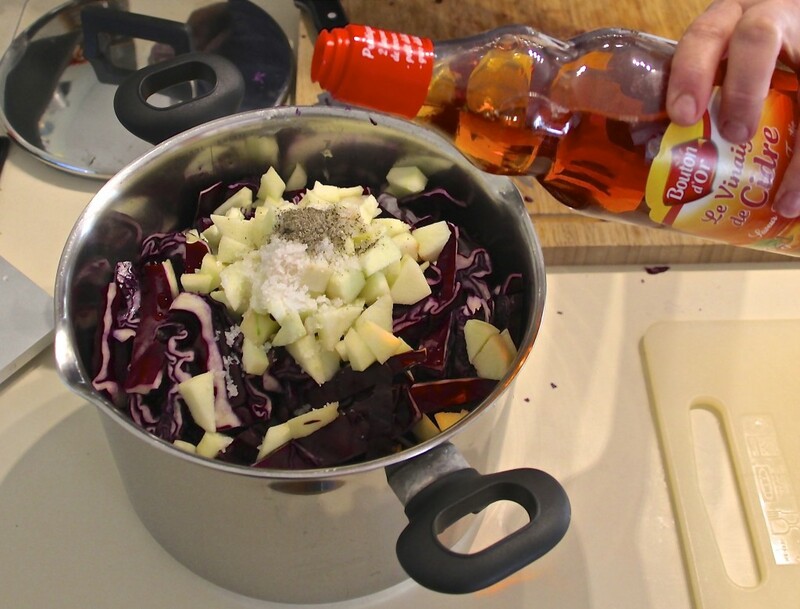 And for me, red cabbage goes with any meat! YUM! Spread mustard on each slice of steak, sprinkle with salt and pepper. Place 1 bacon strip and a spoonful of onion wedges on each slice. 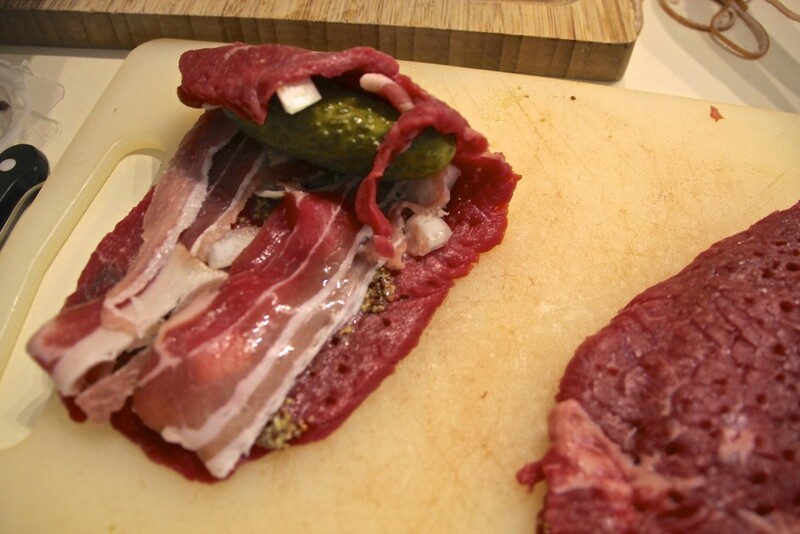 Place pickle on one end and roll up and secure with toothpicks. 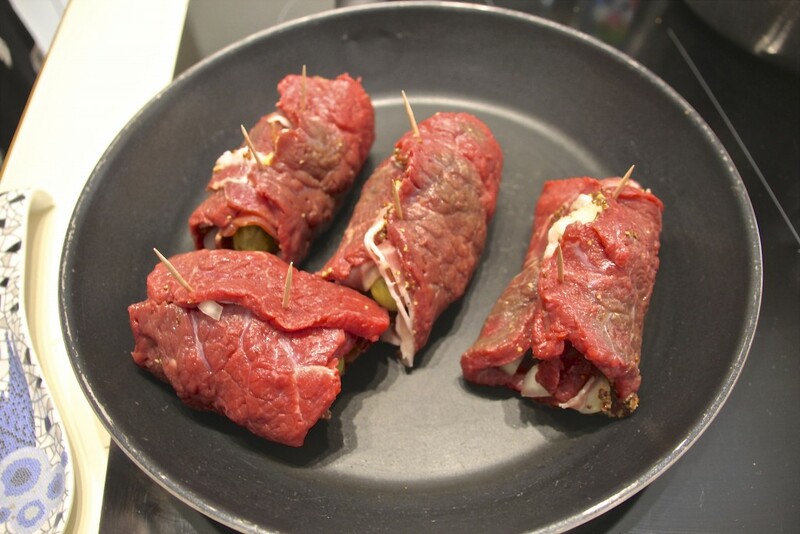 In a large skillet, brown beef in oil until no longer pink. Add broth and bring to a boil. Reduce heat, cover and simmer for 1-1 1/2 hours or until meat is tender. To make the gravy, combine flour and water until smooth. Bring broth to a strong boil, and stir flour mixture into the skillet while whisking or constantly stirring until thick. Turn down stove to low. Remove toothpicks and return the meat to the gravy and heat through. Sprinkle with parsley if desired. Mix all ingredients together in a mixing bowl with a fork until the consistency is a little thicker than pancake mix. Adjust water and flour until you get a smooth, lump free batter. Place device over a pot of boiling salted water, and ladle in your mixture, and start moving the top back and forth so the mixture cuts the dough as it falls into the boiling water below. Keep doing in until the mixture is done, with a wooden spoon; stir the nokedli so it doesn’t stick. Once they are floating they are done. Drain in a strainer like you would pasta. Posted on January 9, 2016 January 9, 2016 by EvaPosted in German, UncategorizedTagged Black pepper, Cook, Cooking, german food, Olive oil, onions, rouladen, Sautéing, spaetzle, Tablespoon, Travel Eat Repeat.